Hello Friends, I am absolutely delighted to be again taking part in the Seasons Givings blog hop. This is the fifth year running of this fabulous initiative started by our talented hostess Latisha Yoast. This is a wonderful blog hop to say 'thank you' to all our blog readers and followers for their time and kindness whenever they visit our blogs. My blog had been a bit neglected in this last year and I am really sorry for being such a bad blogger in the recent months. My attention and focus were very much directed to finding my own feet in the new job, settling in the new house and I've started professional studies, too. Somehow these things have exhausted my creative muse which was hiding somewhere reappearing only occasionally and for very short moments. But even with such infrequent posting I have been really touched to see that many of my blog friends remained in contact and for that I want to express my heartfelt gratitude ❤❤❤. 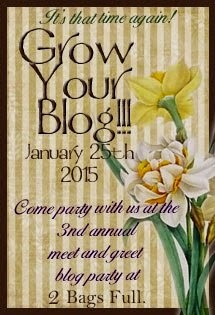 This blog hop is so fabulous for two more reasons. The participating blogs wil be sharing some wonderful crafty inspiration as well as offering some delicious giveaways as a way to say 'thank you'. So be sure to visit them all to see what gems and treasures are waiting for you there! My inspiration for you is this mixed media canvas panel which I created at the back of this Retro Girl With Attitude project that I shared a while ago. 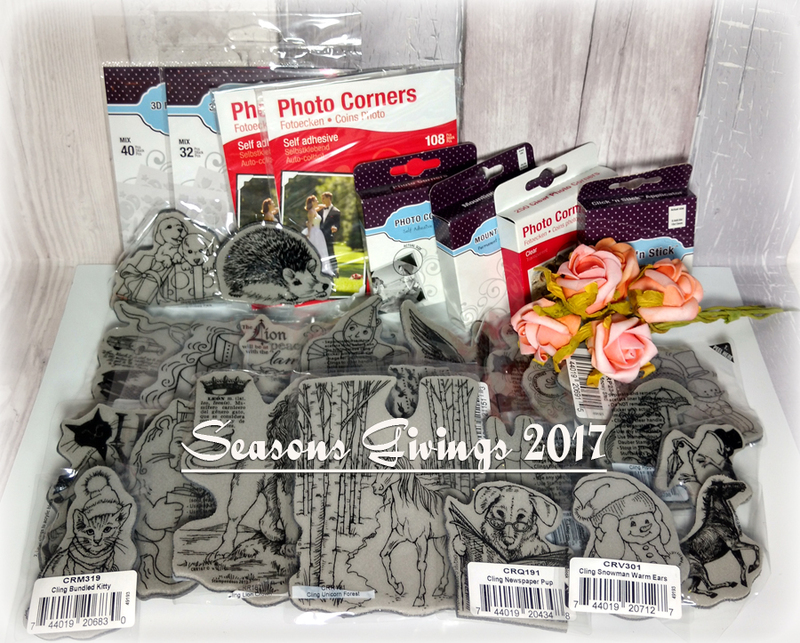 Scrapbook Adhesives by 3L: Black 3D Foam Tape, Thin 3D Foam Squares - Black, 3D Foam Pennants, Home & Hobby Extreme Double-Sided Tape - 1/4"
You can enter until midnight (GMT) on 6th January 2017 and I will draw the winner on the 7th January 2017 :). I will endeavour to contact the winner directly - please be sure I can easily find a way of contacting you back - either via your blog or by leaving your email address with your entry. If the contact is not successful, I will draw another winner/s. My biggest thanks are going to Latisha for organising and hosting this fantastic event! Now, it's only time to wish you all a very happy New Year, full of love, happiness and kindness to and from others. And of course, may this new year be full of creativity and positive energy to achieve the impossible! Your canvas is lovely - love the greens! We moved into a new home last Spring and love the city we've settled in. Thanks for the chance to win fun goodies! Have a wonderful New Year! Beautiful piece of art! Happy 2017! The best in 2016 for us is that we finally save enough money to buy an apartment! I am already a follower of your blog. May 2017 bring you health and prosperity. Happy New Year! PS: Please delete my previous statement. I accidentally pasted something in that didn't belong in the comments. It's no wonder your blog has taken a back seat to all the changes in your life...and life is, after all a process with ebbs and flows. It sounds like you've been seeking a balance and that can only give you more energy to do what you love. I have been trying to do the same in my own life, as I dealt with some health issues, home improvements and problems with eyesight that I found frustrating. Trying to stress less and create with more joy!! 2016 was a busy year for me as I also moved to a new home in a new state. Still not quite settled in, but getting there. Your canvas is beautifully done; love it. Happy New Year to you. Gorgeous project! My favorite memory for 2016 is just being able to spend quality time with my family this year! Outstanding canvas presentation. Great color tone combinations. My favorite 2016 memories are summertime lake side breezes and spending time cooking vegan with my adult son. Happy New Year! My most satisfying achievement of 2016 was organizing my craft corner so that I can find things. Happy New Year! You are truly talented! My fave thing in 2016---I started a new job, which I like (I work in a bakery! uh, hello?? what's there not to like?) and I learned to appreciate the little things. My husband had a very serious accident, almost lost him, but thankfully has made a complete recovery, so I am thankful for that! I follow through Feedly! Happy new year! Though 2016 has been a rough year with the loss of my mil i am grateful for the new friends i made in 2016 . Gorgeous mixed media!!!! We have had several new babies welcomed into the family a marriage some new jobs within the family and most of all I got to see my 2 oldest grandchildren that I haven't seen in over 2 years. Major artistic accomplishment is building Halloween statues of Beloved sarcophagus and its' guardians and then throwing quite a Halloween Party. Great website. Thanks for chance to win such nice prizes. My accomplishment for 2016 was to clean out our basement before and after the remodel. It makes me feel so good now when I go down there that things are organized. What a fun prize pack,Happy New Year. As my son gets older I always cherish the family trips. We had some great ones this year. Thanks for the chance and Happy New Year. My daughter graduated from high school, and is attending College. Beautiful canvas. Love your work. Happy New Year. all make a spectacular project. and your creative muse will return. my lovely memory is taht I got 2 cats! Gorgeous giveaway, thanks for the chance. My moost beautiful moment of 2016 was the birth of my 4th granddaughter. Love your mixed media canvas. That is something I'd like to do more of this year. Last year, I found some courage to enter my cards in some challenges; not to win so much, but to challenge ME to push harder. It was fun & I'm hoping to challenge myself even more. Hope your 2017 is a blessed year! Thanks for the giveaway. Happy New Year! I was able to reconnect with old friends and join in a monthly crafting group. Thanks for the giveaway! I have been loving the blog hop this morning and my favorite achievement of 2016 was getting married!! It was a tough year with both me and my husband being off for 9 months each but we held everything together and still managed to have an amazing wedding. I too started a new job and getting settled into married life. Lookiong forward to getting back to my normal routines and spending more time in my craft room . My fav achievement for 2016 was to visit more blogs this year and comment more. Thanks for the chance to win your giveaway and Happy New Year! I have spent some great times with my family. I have the most wonderful husband. My daughters are both in college and doing well. I am on a program to lose weight and have lost 23 pounds. God is in my life now and always. I have a lot to be grateful for. What a great canvas. I love creating on canvas especially with mixed media. Irs so much fun. I loved watching my son grow this past year. Our camping trips and seeing him adapt to the world. Then there is the new job. Only the past few weeks but a blessing since ive been looking for way too long. Happy new year!!! Wow! Awesome project!!! My favorite memory of this past year was my trip to London. Thanks for taking part to this amazing Blog Hop!!! Happy New Year!!! My favorite memory of 2016 will stick with me forever....my Grandma turned 100 in July and it was beautiful. Thanks so much for taking part in this amazing blog hop of giving. My favorite memory is Senior Night with my son - his last year of high school marching band! Thank you for sharing your talents with us. I'm most excited about crafting with my daughter this year and look forward to doing more of it in the coming year. Congrats on all your achievements this year. I had a new granddaughter, Mabel, we celebrated 25 years in our business, and I am still married after 38 years. Happy New Year to you. You have had a busy year! Hope the new year holds more good things in store for you! Your coloring of your wonderful project is just awesome. And, my favorite thing that happened in 2016 was this past Christmas where all my children and grandchildren were in attendance to visit with us. We made some wonderful memories. Thanks for a chance to win your fabulous prize package too. Thank you for being a part of this awesome blog hop. You have certainly been busy this past year. I was blessed to help open a store at the cottages where we hold scrapbook retreats. For 2017, I'm looking forward to expanding that endeavor. May favorite accomplishment is seeing my children blossom and mature. Thank you for the inspiration. Happy New Year! Thanks for sharing your beautiful canvas!! My biggest change for 2016 was starting a home based business that has brought me much joy and satisfaction. It's always good to keep learning and shake it up a bit every now and then! 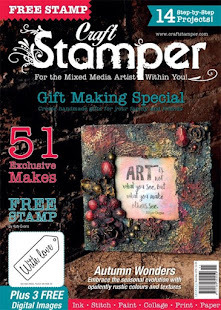 Looks like a lot of fun stamps in your prize package. One of our achievements was to do some renovations on our house - much needed and move my mom in to live with us. The best to your in 2017. Happy New Year Asia! One of my favorite memories from 2016 is a beach trip with my husband in May. We had such a fun time and I would love to go back in 2017. Thanks for sharing your mixed media panel. You are so talented. Hope you have a blessed 2017. You indeed had a big & busy 2016! Happiest moment had to be when my "Alaska" son arrived unexpectedly on Christmas Eve. First time in 6 years I had all 4 of my boys at home together. Wishing you & yours a safe,happy, & blessed 2017! Hello Asia, Happy New Year! 2016 was a difficult year for me and my family. Without going into details, I am hoping that 2017 will be much better? I look forward to seeing your creations! You did indeed have a busy & big 2016. 2 extremely happy moments this year. #2 son survived a heart attack and open heart surgery. Thanks to the wonderful people at UGA he was still able to start work on his Ph.D. Than on Christmas Eve my "Alaska" son knocked on my door. First time in 6 years I had all 4 of my sons together. I have been very blessed this year. Wishing you and yours a safe and joyous 2016. Happy New Year-Beautiful canvas My favorite memory is the addition of 2 new puppies to our home, and my daughter graduating high school. My favorite thing in 2016 was meeting my new granddaughter! She lives a couple of states away so it was so exciting to get to see her! so not much last year, my fave is the biggest thing was my tennis team winning and we get to go up a division. Love your beautiful mixed media canvas! My favorite achievement.... I retired from a stressful job! Yay! WOW Asia, your canvas is gorgeous! You prize package is AMAZING! My fav. memories from last year are of time spent with my father. I am SO glad I did as he passed on Oct. 29th. Moments we don't want to take for granted! 2016 brought a new grandson into my life! Happy New Year!! Already your follower. Thanks for the opportunity to win this prize. My best 2016 achievement was blogging the most after 6 yrs of being a blogger. So many blessings this year. a new to me car, mom to a man in the making and soo many more! Happy New Year. Thank you for participating in this year's Season's Giving, and offering such a generous prize. Last year has been a very trying year healthwise, but I went to a new doctor who has changed my meds and there have been some improvements. Happy 2017! I also started a new job, and have successfully helped my daughter to submit college applications! Beautiful canvas:-) Happy 2017 and thanks for the giveaway! My nephew was born in September 2016, that´s my favorite memory of 2016. My favority memories of 2016: being able to run 6 k without passing out, making a craft room full of all the crafty things I love the most, getting an adorable puppy, selling handmade things at a craft fair, travelling, reconnecting with old friends. Happy New Year! What a beautiful piece of art you created here Asia ... My favourite achievements ... Well, I got to meet so many of my blog friends in 2016, including 2 from the USA. My other achievement is unusual but my dear friend was dying of cancer and her son and daughter abandoned her... I promised to stay with her right up till the end. For 3 months I visited everyday, took her food and drink and sat for hours giving her drinks and holding her hand.... It was so very hard and at times I faltered but I achieved what I had promised and was with her holding her hand right up until the end. Even when her kids denied me the right to go to the funeral I never retaliated and that was probably my best achievement. Your canvas is striking. I am curious how long it took to make it. My highlight for 2016 is the birth of my great granddaughter. Your giveaway is most generous. All those animals. I hope my life can settle down this year. I hope better health can happen for our family. Thanks for the chance to win. Gorgeous creation and awesome giveaway! My favourite thing in 2016 was when my bf proposed! Happy New Year! Love the peacock feather background on the canvas. 2016 brought our 7th grandchild into our life. I have fun crafting with all the grandchildren. 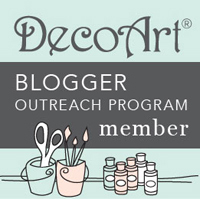 My Best crafty achievement is as I am selected DT and Blog Coordinator first time! And the other achievement is mY daughter got a job in very handsome co! What else than can be good! Thanks for the chance to win your generous giveaway and some Stampendeous fun goodies! Wow, have you got a lot on your plate. Congrats on the new home. You've done more in this past year than most people would be willing to take on. Your work is beautiful. The coloring is stunning. That, is what I want to learn. I'm a newbie using color markers even though I have several kinds. Wish me luck. Have a wonderful, great NEW YEAR. I managed to make special altered books as gifts for the people that I needed something a little more than a card for. Your canvas is absolutely gorgeous! I have had a lot of health struggles the past two years and so my greatest accomplishment was working on keeping positive each day. Happy 2017! My favorite for 2016 was able to have a half of the garage for my crafting! Wow this is just stunning - you sure are talented!!!! For me, a highlight in 2016 was having our whole family - kids, in-laws, grandkids - at our place for Christmas. Have a blessed 2017! Happy New year, my favorite memory is my beautiful little niece being born in July. My biggest achievement for 2016 was that we moved to the country, I planted a huge garden and got chickens and was able to provide most of the food for my family. Thanks for a chance to win such a great prize. Cheers. This has not been one of my best years but I had surgery which I was so excite to get but unfortunately it did not help with my problem. But all in all was still a good year and I know who is in control! Such a great prize! My favorite memory of 2016 is a surprise visit from my son. What a terrific giveaway! Since you told us we do NOT have to become a follower to win, I am going to follow you today! That's terrific! Have a warm and wonderful 2017! My favorite memory of 2016 was watching my grandson graduate from high school with honors. Thank you for a great prize package. My sister and I went to NYC for a 4 day sister trip! It was our first time in NYC, but what an amazing trip with lots of precious memories made! Thanks for your generosity with such an awesome prize package! Happy New Year! Happy New Year! My favorite memory of 2016 was being able to check off on my bucket list a cruise through the Panama Canal. It was so awesome to see how the canal works live in person...amazing! We also took a 4 day cruise with my husband's oldest son and his wife, so fun. Thank you for participating in the blog hop and giving us a chance to win a great prize. Thank you for the opportunity to win this wonderful giveaway! Your projects are wonderful and I appreciate you sharing your creativity. My favorite memory from 2016 is a vacation we took with our adult sons. Happy New Year! Happy New Year and thanks for your fantastic give away. Your canvas is beautiful. I think my favorite memory of 2016 was spending my birthday with kids and grand kids. Your picture is beautiful. My husband and I celebrated our 47 wedding with a great weekend getaway. Thanks for having me. Happy New Year! What a gorgeous art piece! You are truly a talented artist! Thanks for the chance to win this awesome prize. Happy new year! I'm new to card making and looking forward to following you in 2017! Happy New Year! My favorite memory this year has to be video taping an interview with my grandsons dressed up like Santa Claus! Will definitely be scrapping those pictures! Gorgeous panel!! Such talent!! And what amazing achievements you've had last year. My greatest achievement in 2016 was helping my cat lose almost 2 pounds. It was a lot harder than I thought it would be....who can resist the soft (and yes, sometimes aggressive) meows begging for treats?!?!?!?! The "no's" were best for him. It allowed his glucose levels to get better and not need insulin shots twice a day. :) Thank you for being part of this amazing hop and the generous giveaway. Looking forward to your inspiring work in the New Year. Many blessings to you and your family. - bjlee717"at"hotmail"dot"com. OMG your canvas is amazing! My favorite accomplishment of 2016 is that I expanded myself into other avenues of art and creativity! I'm now a new follower! Looking forward to seeing what you come up with next! 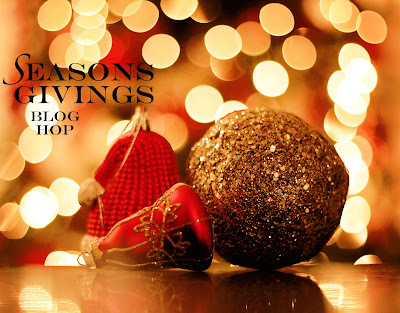 Thank you for taking part in the Seasons of Giving Blog Hop. Appreciate the chance to win your fabulous giveaway! Happy 2017! Great memory; becoming a Great Grandmother; 2 new babies/additions to the family within a month's time. Wishing you much happiness, good health and success in the New Year, Asia! 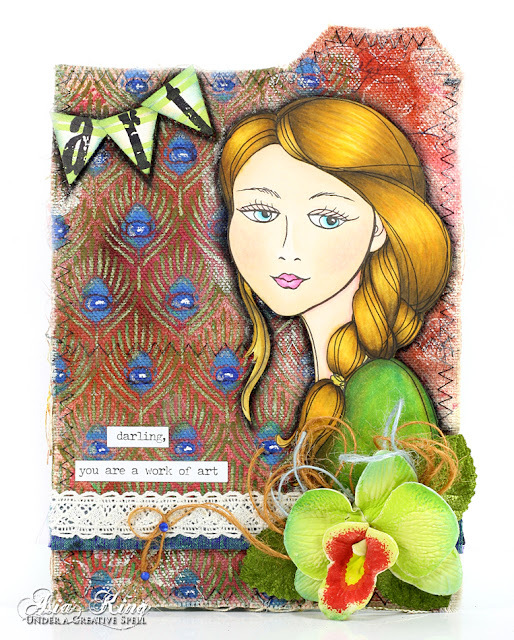 Your mixed media canvas panel is truly beautiful...I am already a follower of your lovely Blog. Fun achievement in 2016 is buying a new car! Wow! Love what you did with the stencil. Late last year, I discovered the wonderful world of card making, and that has been a good thing. 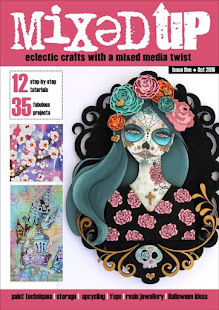 Thanks for the chance to win such a generous bundle of crafty goodies. I wish you a happy and prosperous 2017. Your canvas is gorgeous!! Mixed Media intimidates me for sure; but you did a fabulous job!! I can't really think of any achievements or accomplishments last year. I'm sure there were some, but it's a blur, lol. : ) Thanks for the chance to win such a fabulous prize! We just found out that we are going to be grandparents. It was certainly a big surprise to us and it is certainly something we will never forget. My favorite thing this past year was earning a major on my girl dog that I show in Conformation in AKC. I have now earned almost enough points for her to get her championship! She just needs one more major so I hope to accomplish that this year! One of my accomplishments in 2016 is that I finished my craft room. I'm organized, everything has it's own place and my room is decorated. It feels great. Am one of your avid followers and will comment on IG as well. Love your work btw! My fav memory of this last year was when my middle son graduated with his graduate degree! I felt so proud how he had sacrificed so much and achieved his goal! A very proud and happy moment for all of us in support of him. God bless you and Happy 2017!! Wishing you continued success! Thanks for being a stop on the blog hop. I enjoyed reading your blog and look forward to your 2017 posts. My accomplishment in 2016 was to return to stamping after taking a few years of with illness. It's nice to be back. My best memory of the year was visiting Berlin for the very first time, what a wonderful city. Happy New Year! My biggest achievement this year was actually crafting again. When my daughter was born 2 years ago everything pretty much went on hold. Lots of positive things have happened this year like meeting new crafty friends and travelling to England. Thanks for the chance to win. In 2016 I did get many cards made, I retired, I joined a group to help the needy, and I am helping a stray kitty. Thanks for being part of the hop and sharing a chance to win. In 2016 many of my friends had babies, I am very happy and grateful for these nephews!! My favorite part of this year was traveling to visit family in the summer and introducing them to my baby girl! Happy New Year! My greatest accomplishment in 2017 was retiring in May after 31 years in State government. I'm enjoying all the free time I now have to craft. Wow, what a gorgeous panel! My 2016 was filled with memories of my kids (3 & 4) growing another year. They are at such fun ages & seem to do or say something new each day! Thanks for the chance to win your generous giveaway - hope 2017 is wonderful for you!! Awesome Card! Thank u so much for the inspiration and for chance to win the lovely gift. I have brought a lot of carfty stuff, which i am not looking forward to implement! happy 2017! I love your card and enjoy your blog! I really enjoyed my kids accomplishments this year - two with new jobs they really wanted and my oldest graduating from residency! thank yoU! What a cool project! I am already a follower and there is no such thing as a bad blogger... we all do what we can when we can. Thanks for the chance to win your fab goodies! Drat, it doesn't give me the chance to edit to add: I am proud to have had three of my cards get special notice by the manufacturers this past year. Retro Girl with Attitude is beautiful, it is inspiring. My favorite 2016 event was my Nephew getting married. He is like a son to me and I love seeing him so happy. Thank you for a chance to win a great prize. Sounds like you had a very busy 2016, have a great 2017! Love your creativity! Thanks for the chance to win! Happy New Year! One of my best memories of 2016 is home schooling my 2 children (this is new this year). I also celebrated a 20-year work anniversary. Thank you for the chance to win.